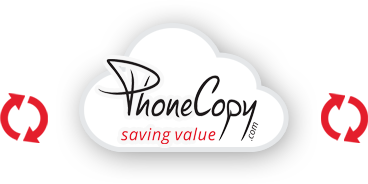 Download PhoneCopy for Windows to your Windows, which you can download free of charge. After downloading and installation PhoneCopy icon will appear on your desktop. Start the application and small PhoneCopy icon will appear on right bottom corner of your screen on status bar. When you will press this icon at first time you will be asked to fill your username and password. Any next icon click will start synchronization. Start PhoneCopy for Windows. 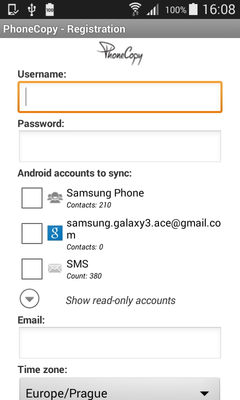 Fill your PhoneCopy username and password, select local directory to store contacts, and choose VCARD format which will be used (we recommend to use 3.0 which is pre-selected). 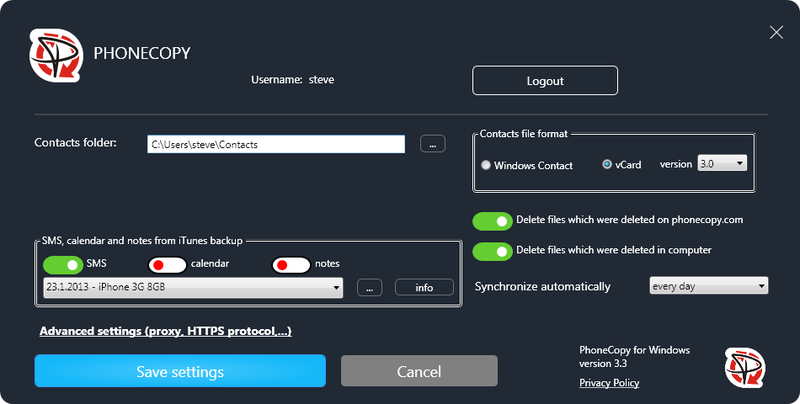 Another option is to use native Windows Contacts format and synchronize directly to Contacts folder. Also you can set your proxy. 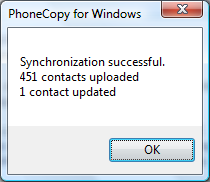 Now you can start the first synchronization on your Windows to transfer your contacts from/to PhoneCopy server. 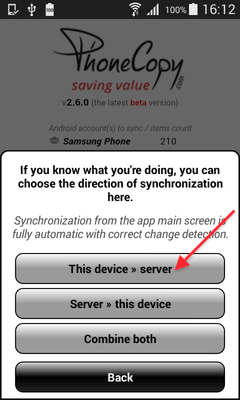 Also you can select synchronization direction. 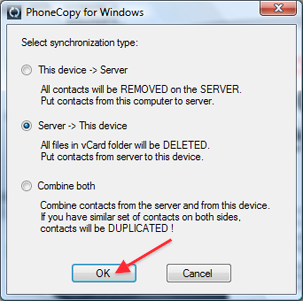 When you will add any VCARD contacts to selected directory you will see it synchronized to PhoneCopy after next sync. Status bar icon is animated during synchronization process. 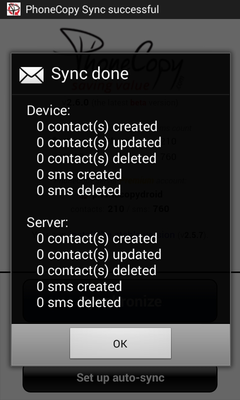 When synchronization finish you will get confirming message.